This post is part of Norm Frampton’s Thursday Doors link-up. Go to his blog and see what he’s got going on! Click on the blue froggy link at the bottom of one of Norm’s Thursday Doors posts and see what other people from all around the world are posting. But first, and apropos of nothing, this picture for Dan Antion, who loves cranes. 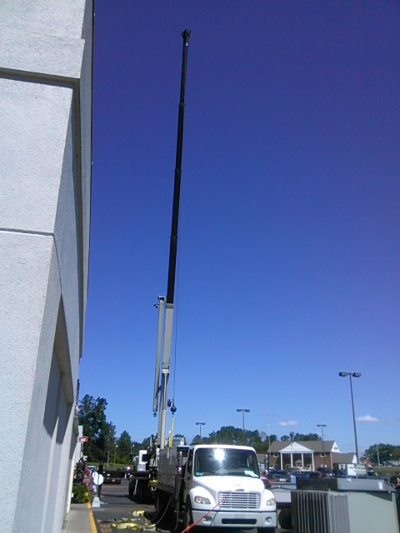 This was taken the other day outside my grocery store, where they’re installing new AC units. The only crane I love is Denny Crane, but Dan loves the big mechanical machines. So this is for Dan. If you don’t like cranes, don’t look. 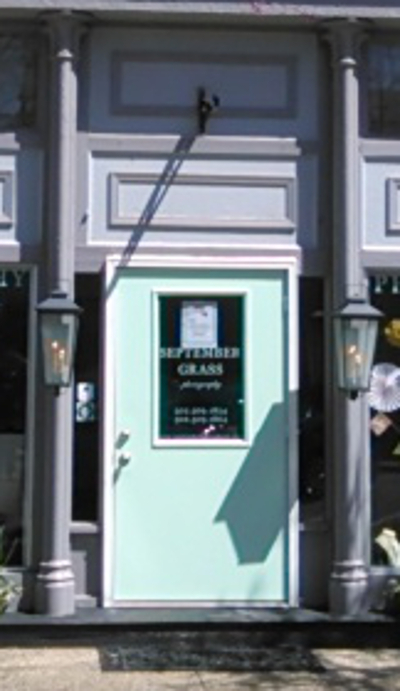 MY REAL POST today is about September Grass Photography in Corydon, Indiana. 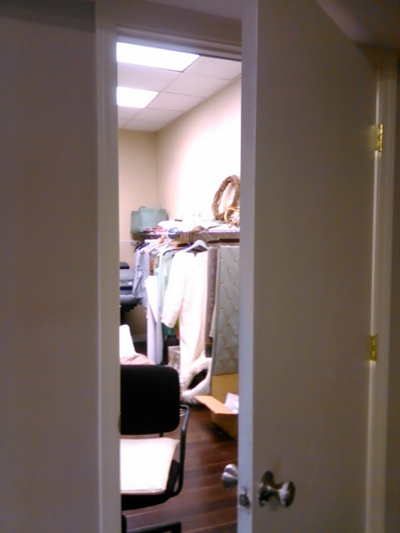 It’s a fairly new place, and it’s small, but it’s loaded with ideas and possibilities. 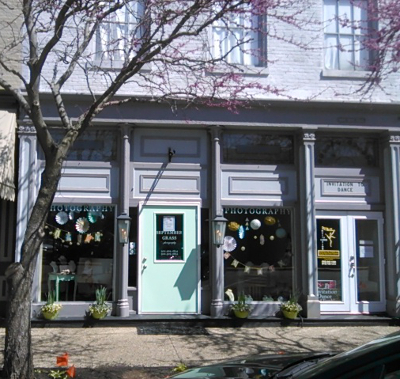 Here’s the storefront it’s part of. Pretty. And a close-up for Mr. DeMille. Blurry. 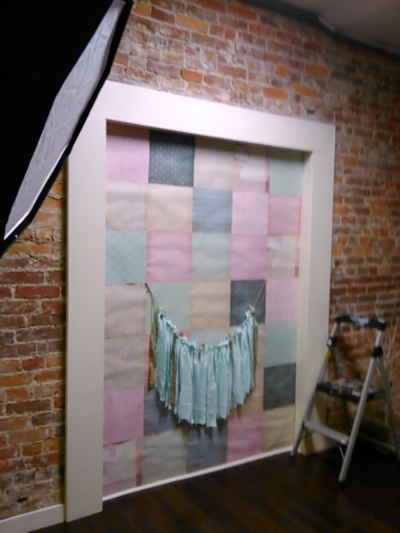 Inside, they had painted one wall to be used as a backdrop. Fur, feather duster, shiny things, and uninspected piece of paper. I didn’t ask. The antlers are gilded. Again, I didn’t ask. I didn’t look. The fur, feather duster, shiny things, and gilded antlers intimidated me. 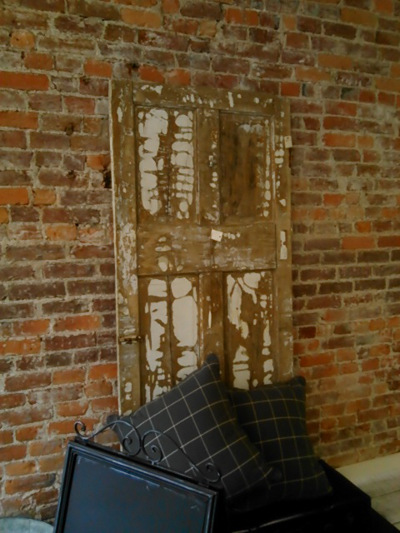 And they had a plethora of repurposed DOORS, PEOPLE! I look forward to dropping in on them as they grow. I love my town! A WRITING PROMPT FOR YOU: Fur, a feather duster, shiny things, a piece of paper, and gilded antlers. What more could you want? This entry was posted in Thursday Doors. Tagged small town life. Oh, is Norm a crane-head, too? lol! We have a School of Faux Finishes here in Louisville! The columns in front are faux marble! On Bardstown Rd. Where else? What an interesting place. What kind of business is that? Love the door, regardless. It’s a photography studio, Ally. They said they plan to get some 1800’s costumes and do old-timey photos, especially since this year is Indiana’s bicentennial. LOL! I pass a crane every day and always think of Dan. He’s getting into our heads. I’ve never been all that crazy about cranes. They always seem to be overcompensating for something. I love the photos. this looks like such a fun place to visit. I really like the painted brick wall. ROFL! You and Joey cracked me up! You did make the Norm and Dan happy today! Me too I like cranes, the birds, and construction type. Amazing photos! 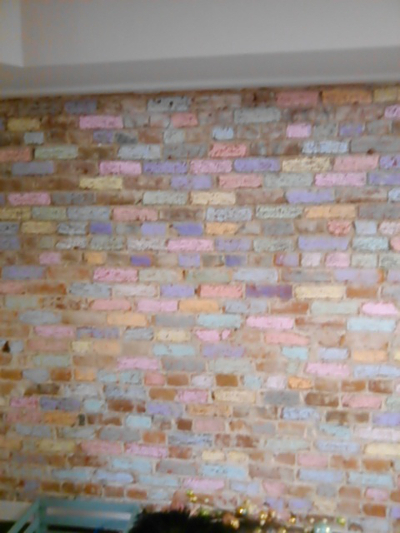 Love those colorfull bricks!